Valentyna was notified of her award by Rene Steinke, Director of the MFA in Creating Writing Program at Fairleigh Dickinson University. As an award recipient, she was invited to participate in a workshop conducted by award-winning authors who teach in the University’s program. After the workshop, awardees, parents and teachers will be honored at a special dinner in Lenfell Hall at the FDU Florham Campus. 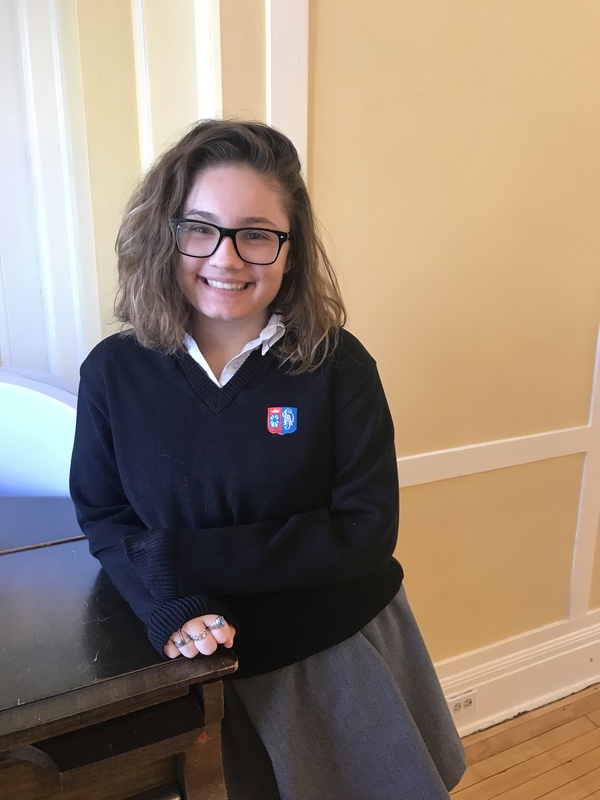 Valentyna is an honor student, and among her many activities is a member of National Honor Society, an officer of Student Ambassadors and a leading member of the Academy’s Award winning Glee Club and Dominoes.